With a wide array of marketing gimmicks out there, today’s buyers are skeptical and wary of claims from businesses. But one marketing tactics still sit above the skepticisms and distrust – social proof. Social proof refers to any piece of evidence that supports a business’s claims that its products perform certain functions or has certain features. In other words, it is a piece of evidence from an existing customer(s) nudging prospects to patronize a business or brand for what it says it is. It is a psychological strategy that works because of human nature to trust fellow buyers more than they trust business entities. Reviews are powerful social proofs. So powerful that 88 percent of online users trust reviews from strangers as much as personal recommendations from people they know. Reviews from your past and present clients is a great way to convince prospects that you are not just making claims without backup. This could be in the form of positive ratings from clients or texts describing your expertise. So, you should endeavor to reach out to your clients to solicit for reviews on your website or social media pages. Your clients will be more than happy to give your business some good reviews if you always deliver top-notch service. Just like reviews, testimonials are equally powerful for driving conversions, sometimes even better. According to a study by Nielsen, 92 percent of customers trust non-paid recommendations like testimonials more than any other form of advertising. Testimonials are effective because they allow customers the chance to express themselves in details. A testimonial is more like a customer profiling a business to help future prospects in decision making. To get testimonials, you will have to establish a good relationship with your clients, and show concern for their businesses as much as you care about yours. This may seem like a lot of work but it is well worth the effort considering how powerful it can be in your marketing strategy. These days, people value social media following and engagement as much as they value testimonials and reviews. For instance, you are looking for a reliable insurance broker, you are more likely going to trust a broker with 5000 followers on Facebook with daily updates and prompt response to questions than one with 50 followers without an update in the past 3 years. The same thing applies with your audience. Having large social media following is important but more importantly, you should make out time to engage with them. Or you can hire the services of a social management company to ensure that your feeds are kept fresh and your audience attended to, promptly. People are more likely to trust a firm that has served one thousand clients than one that has served 3 clients. This tendency to act in accordance with the actions of a larger group is called the herd mentality. And it is inherent in human nature. We feel safer involving ourselves with something when some people have tested the waters before us. In the image above, Zurich Insurance tries to highlight its huge client and employee base, as subtly as possible. So, if your insurance firm has many happy clients under its belt, adding the number of clients you have served on your website or ad copy is a great social proof. And will help draw more insurance leads. Unlike testimonials and reviews, awards and achievements are more like validations for your expertise in your industry. When signing up for insurance coverage, people want to commit to a company with a good reputation. 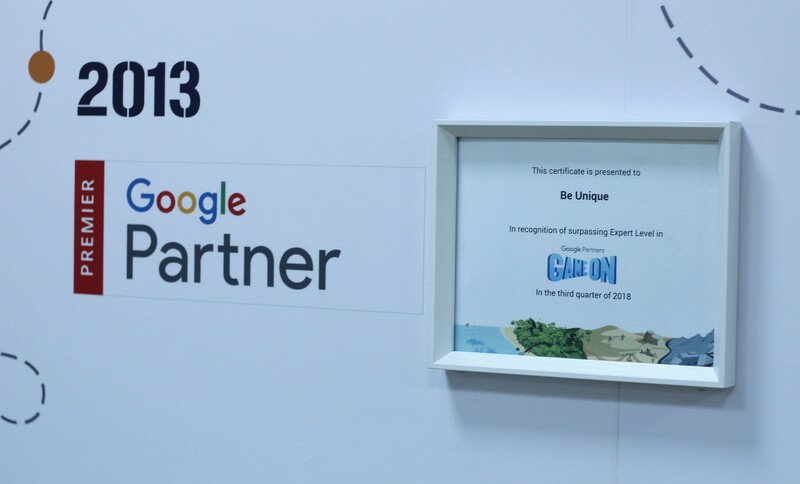 And nothing speaks better about your company’s expertise like awards or recognition from reputable organizations. If you have won awards or have been recognized by prestigious organizations, including them in your homepage is a great way to validate your claims. 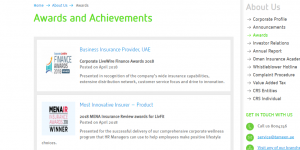 Oman Insurance Company has a whole page dedicated to highlighting their awards and achievements. Alternatively, if you haven’t won awards but your company has been featured on prominent media channels, you can create a slide showing where you have been featured. Social proofs are undeniably powerful for engaging with your audience. The good news is, there are so many ways to incorporate them into your marketing strategies. And if you get the steps right, you can utilize them to make your marketing more relatable and possibly convert more prospects into paying clients. Need help creating a marketing strategy for your insurance firm, fill the form below and our insurance marketing experts will be in touch to discuss how we can be of help.